ABOUT 70 passengers are feared dead after the vehicles they were traveling in got involved in a fatal accident this dawn. The accident was reported to have occurred when two VIP buses collided head on around Ampomakrom, a village near Kintampo in the Bono East Region. Injured passengers have been rushed to the Kintampo Government Hospital and other nearby health facilities for immediate medical attention. According to information available to DGN online, a VVIP Kia bus with registration number GT 3915- 17 traveling from Garu in the Upper East Region and heading towards Kumasi collided with a Grandbird bus with registration number GT 5694-18 from Accra which was headed towards Bolgantaga also in the Upper East Region. 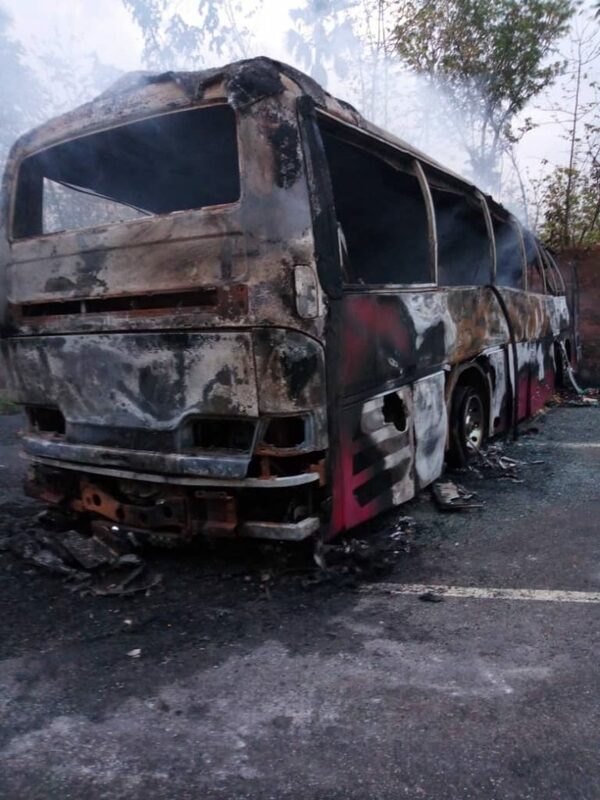 The Grandbird bus was reported to have caught fire immediately after the collusion, burning passengers onboard and killing those onboard the VVIP bus. Some passengers were reported to have been trapped in one of the buses as frantic efforts were being made to remove them. 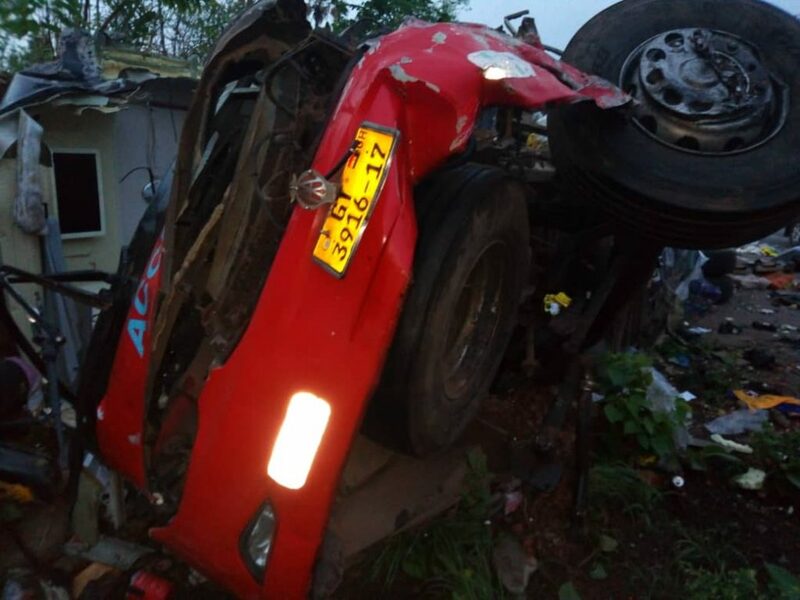 Speaking on the accident, the Kintampo District Police Commander, Assistant Superintendent of Police (ASP) Antwi Adjei who confirmed the accident said they received a distress call at 1:40 am about the unfortunate incident. Although he indicated that the total number of deaths cannot be confirmed, he said none onboard one of the buses survived.